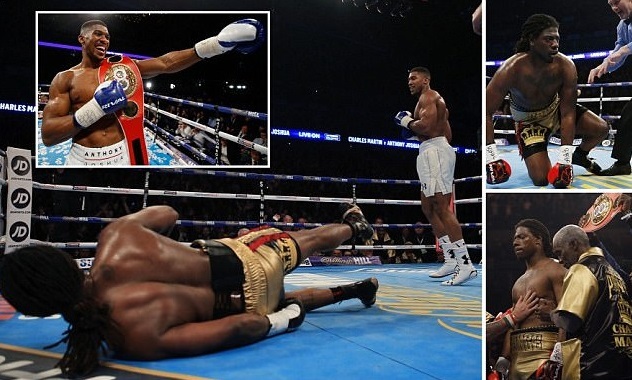 And the new IBF World Heavyweight champion Anthony JOSHUA!. 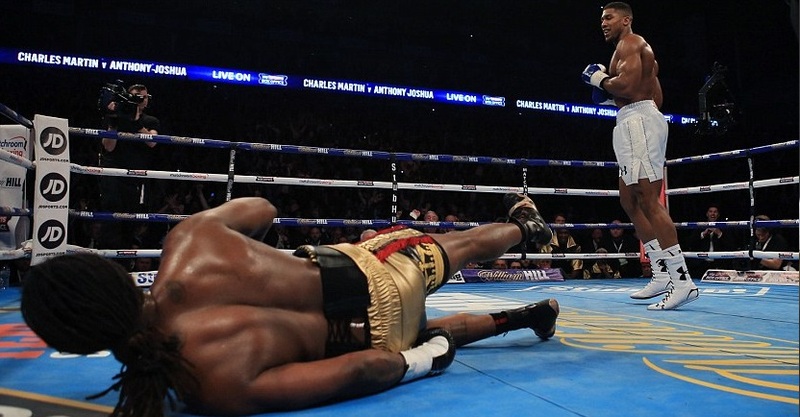 British heavyweight sensation, Joshua became one of the fastest fighter to become Heavyweight champion in just 16th professional fight after he defeated Charles Martin in second round knockout. 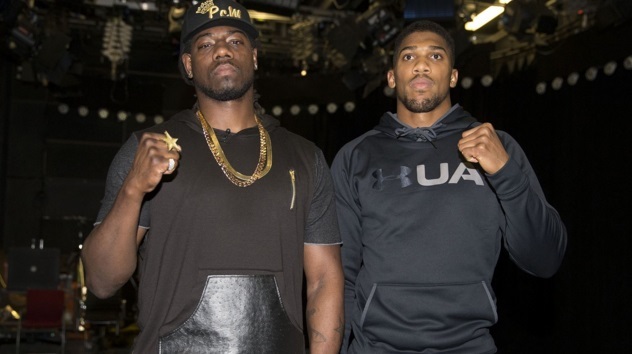 Anthony Joshua defeated Charles Martin in the second round with a devastating knockout and becomes new IBF heavyweight world championship. He made it easy work in the end after all the hype, looked confident and had Charles wobbling from the minute go. Absolute superb performance and now some big fights awaits for Anthony Joshua with the likes of Tyson Fury, David Haye names are mentioned. Joshua vs Martin is not the only big fight on what is a very loaded card with George Groves taking on David Brophy for and international title a stepping stone towards another shot at world title later in the year. While highly rated Lee Selby also takes on Eric Hunters for the IBF Featherweight title. If you live in the UK you can order the Sky Box Office PPV priced at £16.95 through official SkySports website (my.sky.com/orderboxoffice) and we can safely assume the money will be well spent which such good fights available. Joshua vs Martin Fight Night Schedule: Sky Box Office coverage will start at 06:00 p.m uk time with the preliminary bouts and the coverage will be available at SkySports 1 HD till 07:00 p.m after that it encrypted and only who have bought PPV can watch the undercards and the main-event. Apart from the main attraction there is George Groves with the record of (22 wins, 3 losses and 17 KOs) set to take on David Brophy and this will be an interesting matchup and a perfect stage for Groves to claim yet another shot at one of the world titles in middlweight division. As far as the main-event is concerned Joshua and Martin has done good job in promoting the fight with some casual war of words from current undisputed heavyweight champion Tyson Fury. 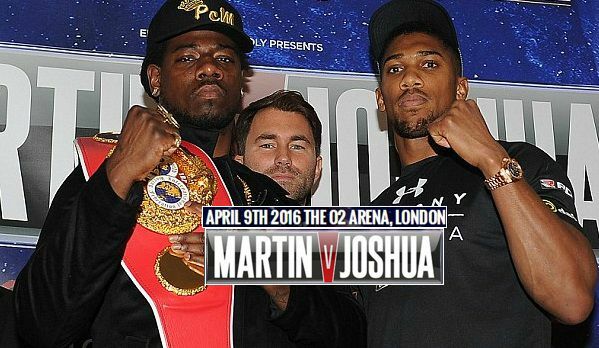 The fight has attracted alot of hype and anticipation and a Joshua win against Martin will put him right up there as one of the most marketable athlete not only in the UK but in the World. Potential mega fights against domestic rivals like David Haye and Tyson Fury will be up for grabs and with that hell of a lot of money. But before that Joshua need to win this all important title fight and a defeat will really hurt his career chances.